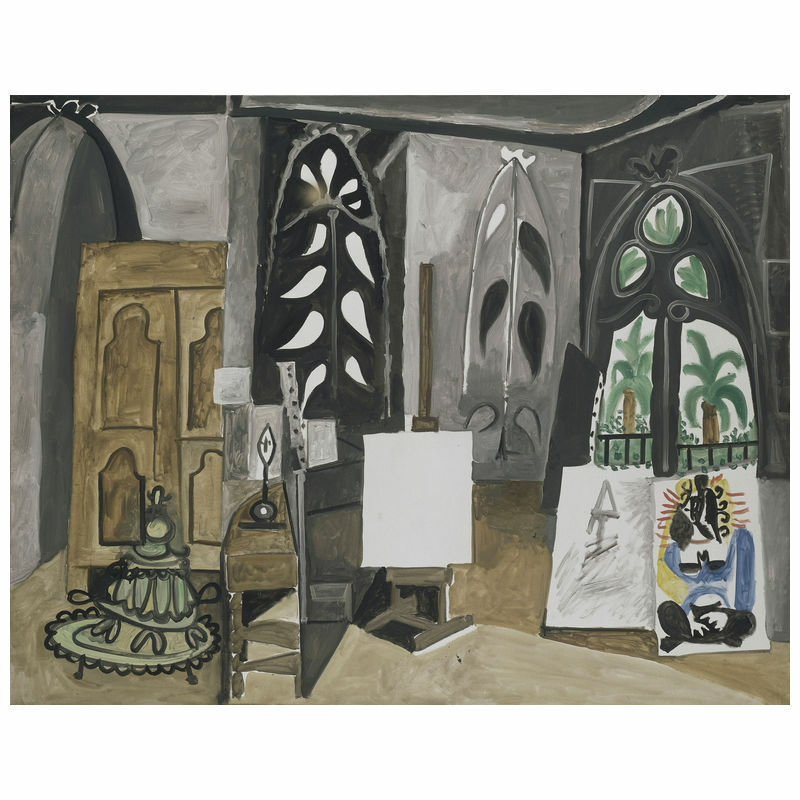 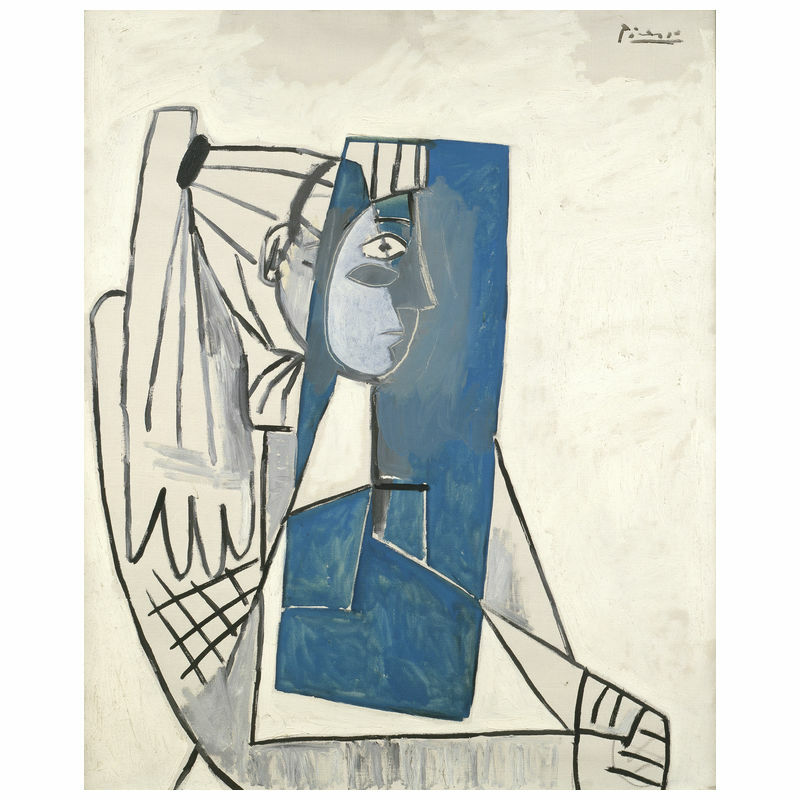 During the Second World War, Picasso remained in Paris while the city was under German occupation. 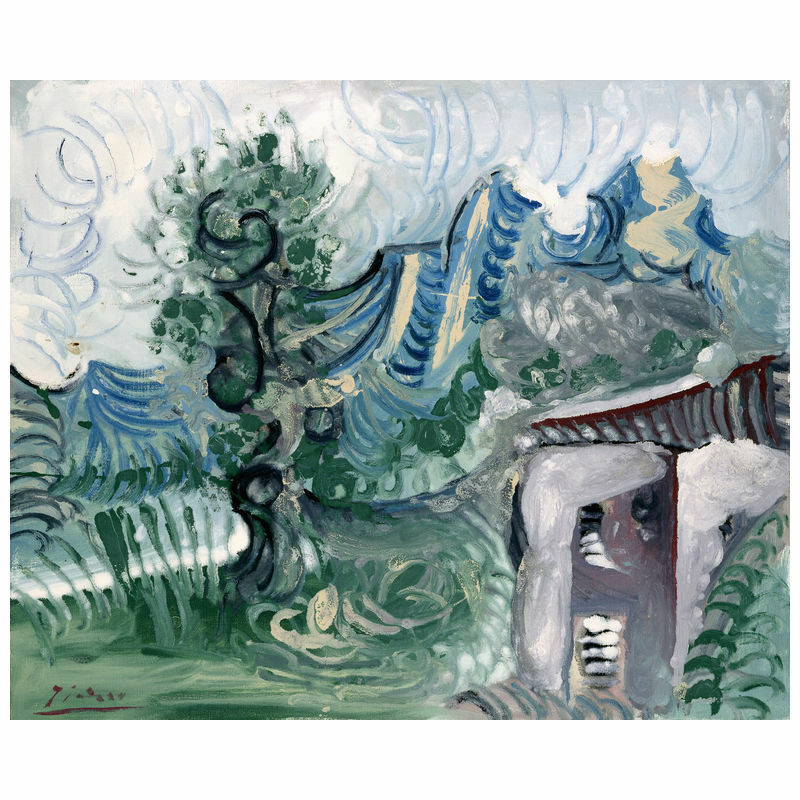 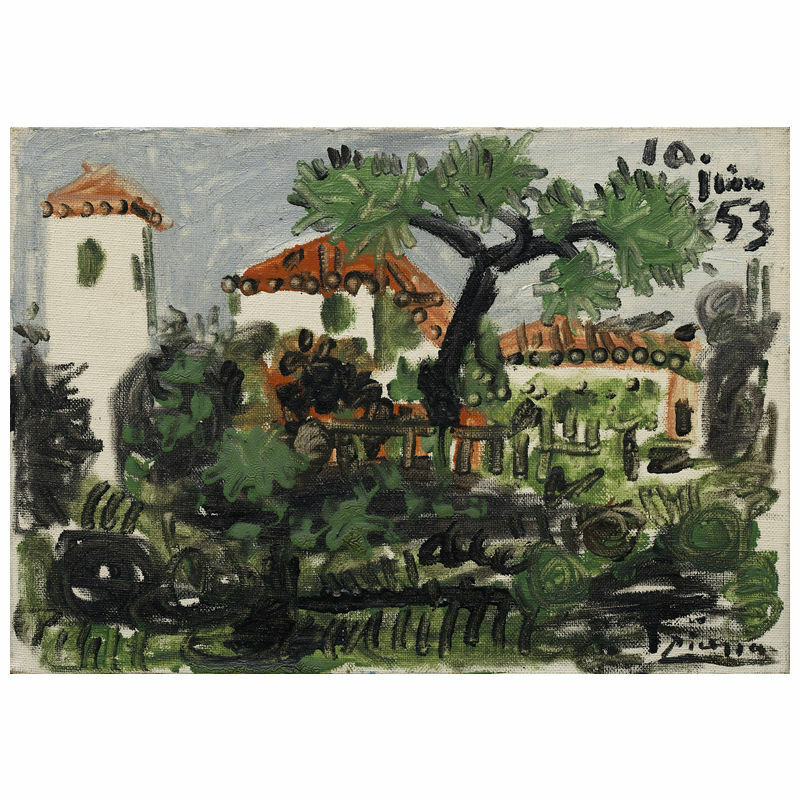 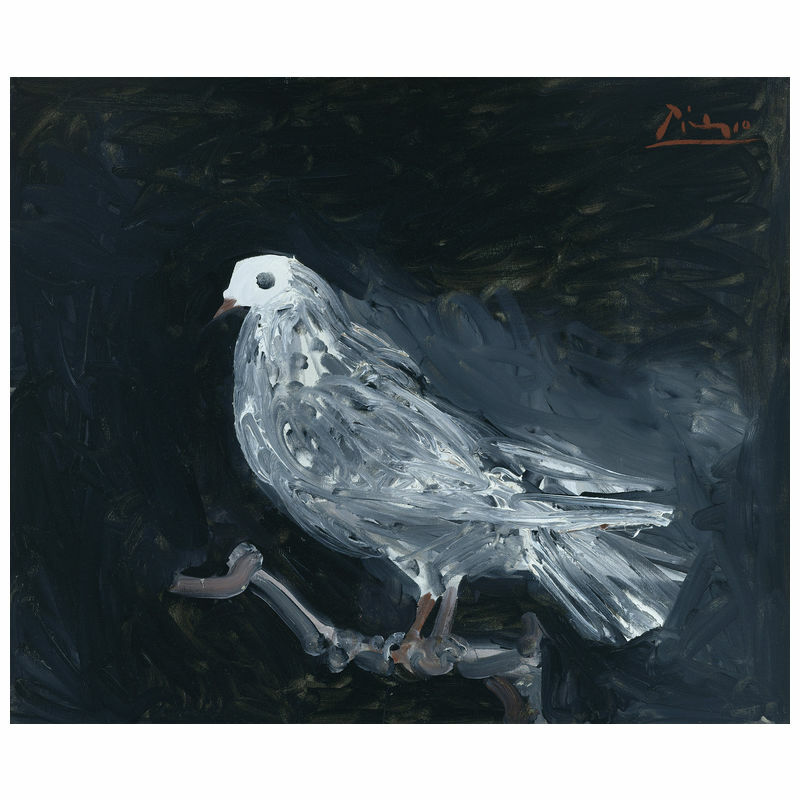 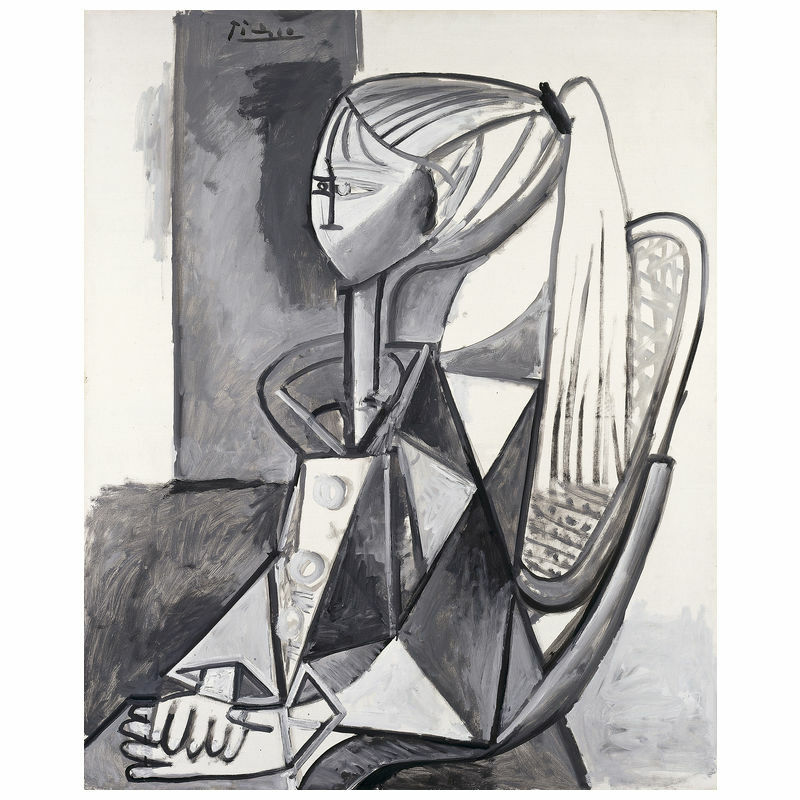 Due to Picasso’s artistic style not fitting the Nazi ideal of art (rather, his work was classified as Degenerate Art), he did not exhibit during this time. 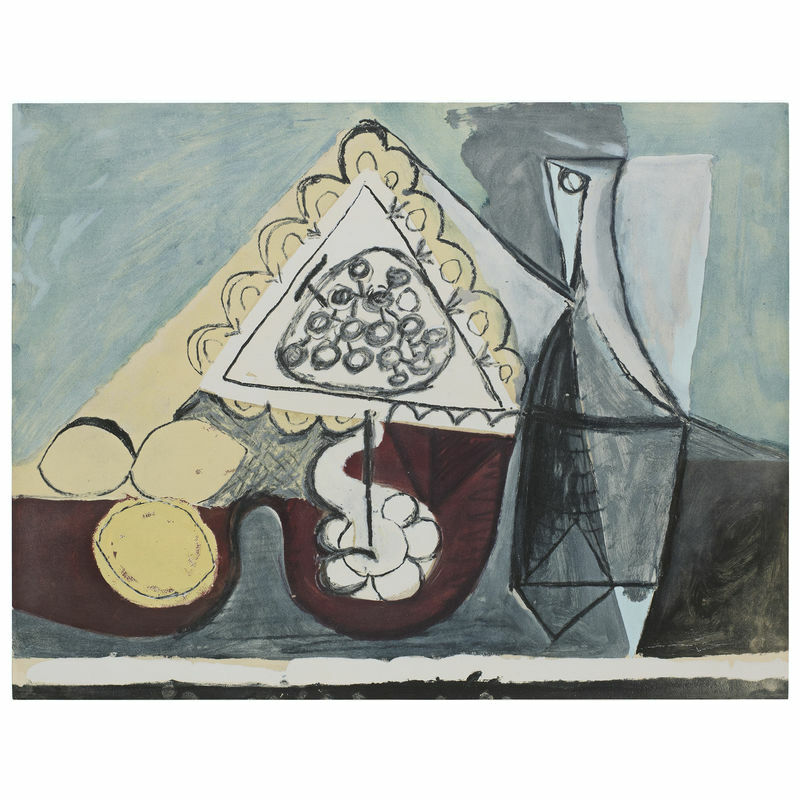 Retreating to his studio, he continued to paint, producing works such as the Still Life with Guitar (1942) and The Charnel House (1944–48). 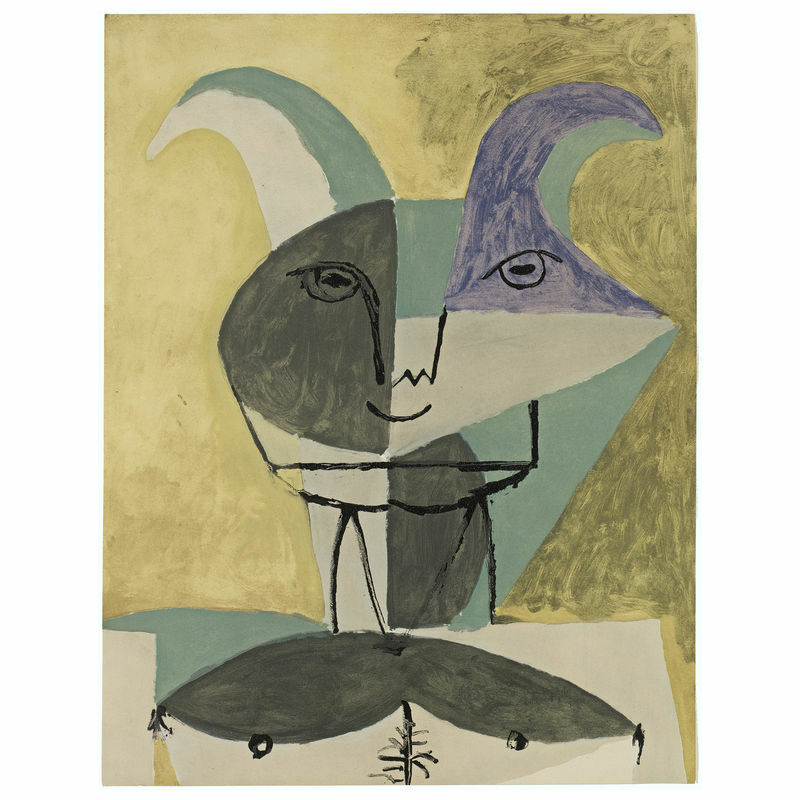 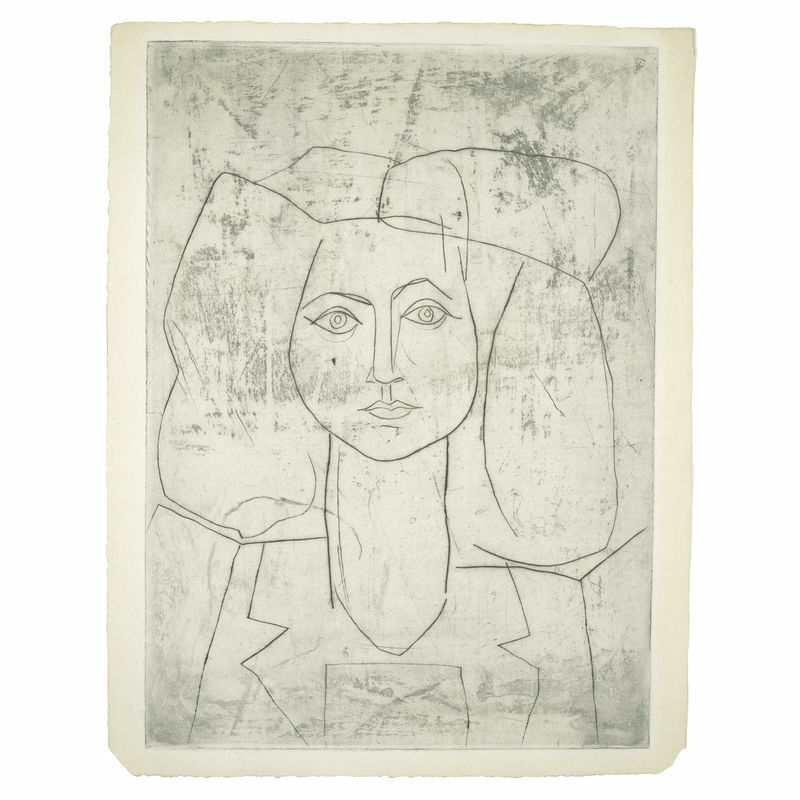 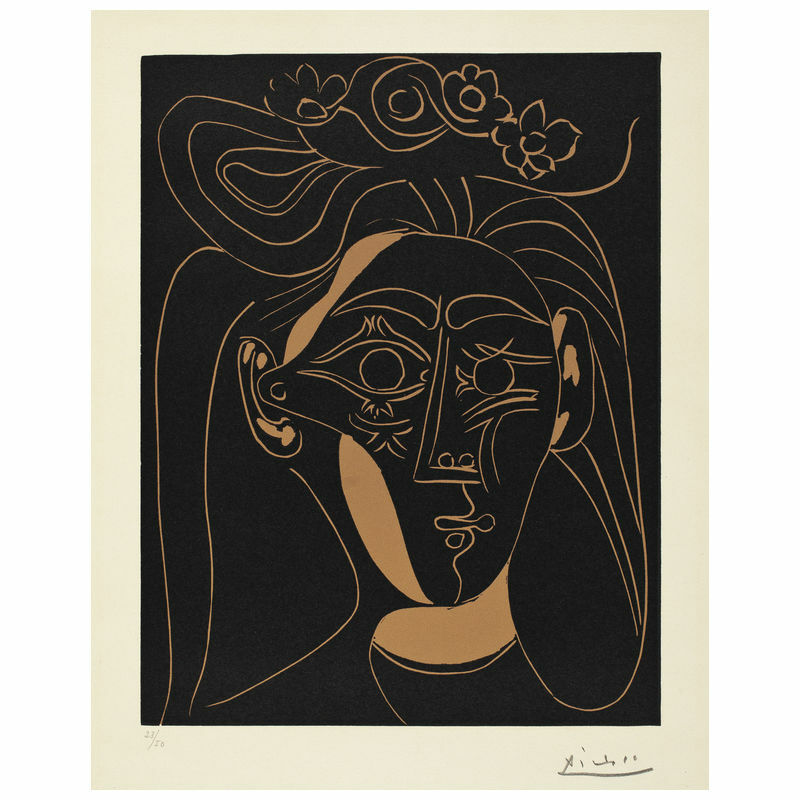 In 1944, after the liberation of Paris, the then 63 year old Picasso began a romantic relationship with a young art student named Françoise Gilot; [read more=”Read more” less=”Read less”] 40 years younger than him. 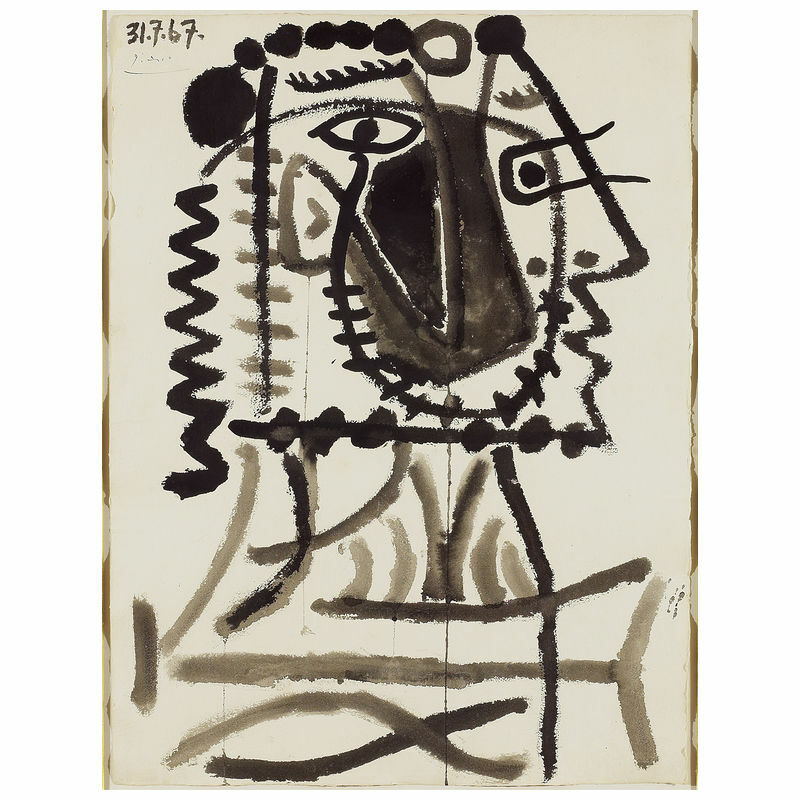 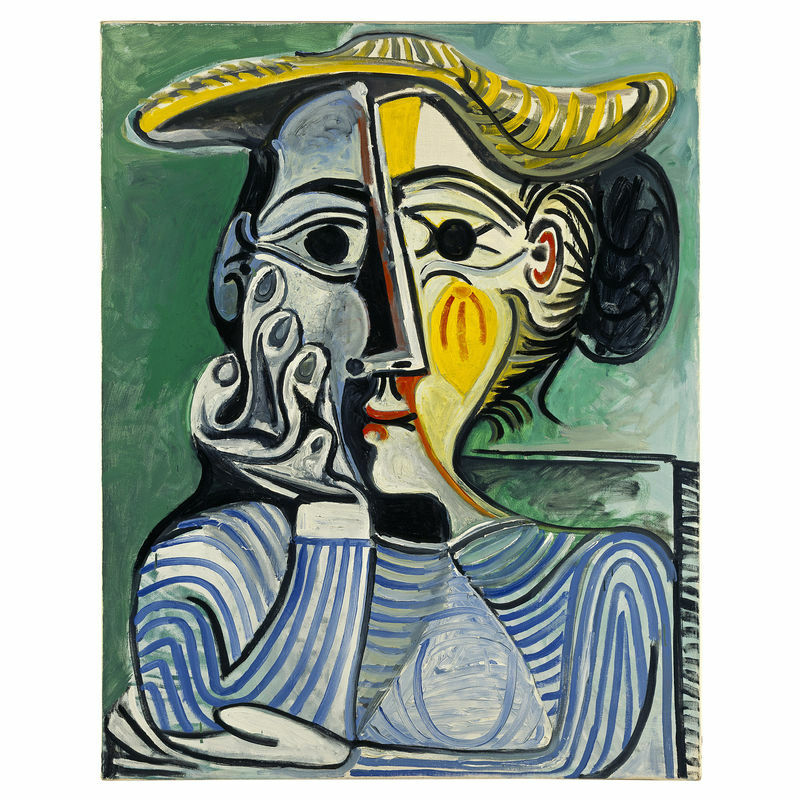 Picasso eventually grew tired of his mistress Dora Maar. 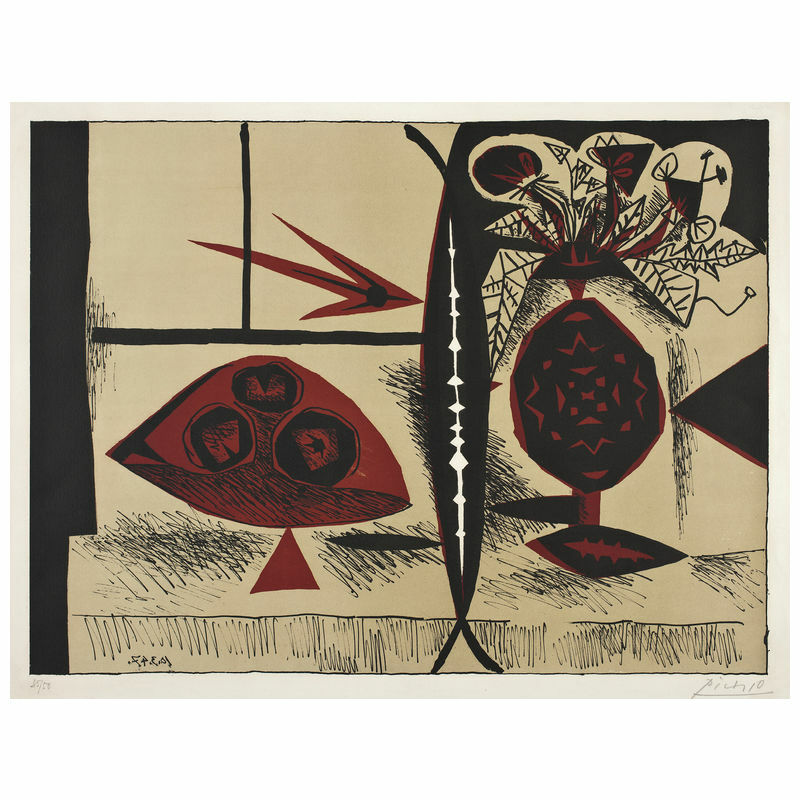 He and Gilot began to live together, eventually having two children. 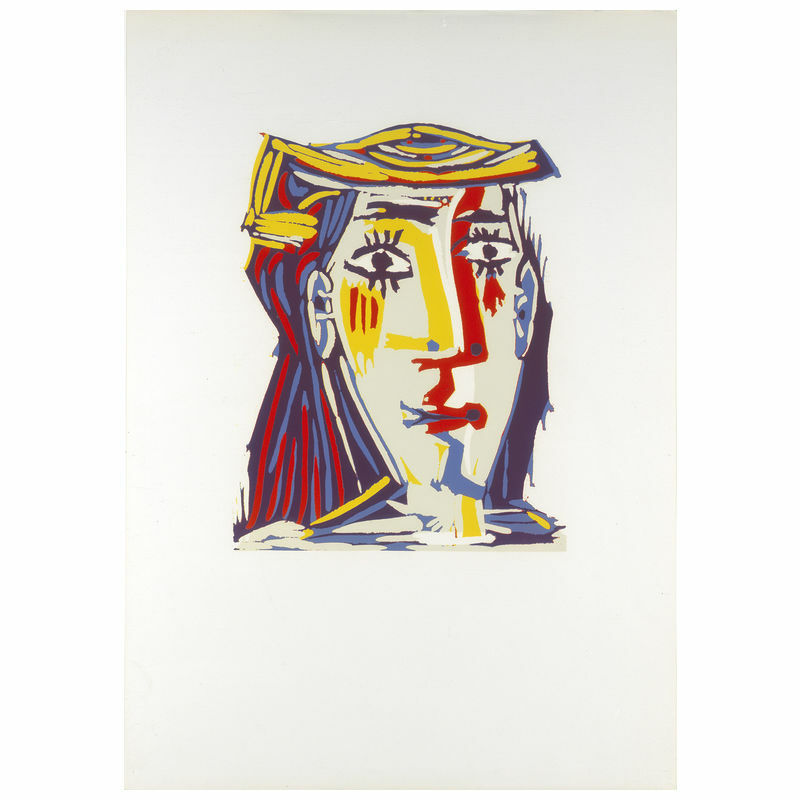 Due to Picasso’s abusive treatment and myriad infidelities, Gilot left the artist; a severe blow to him. 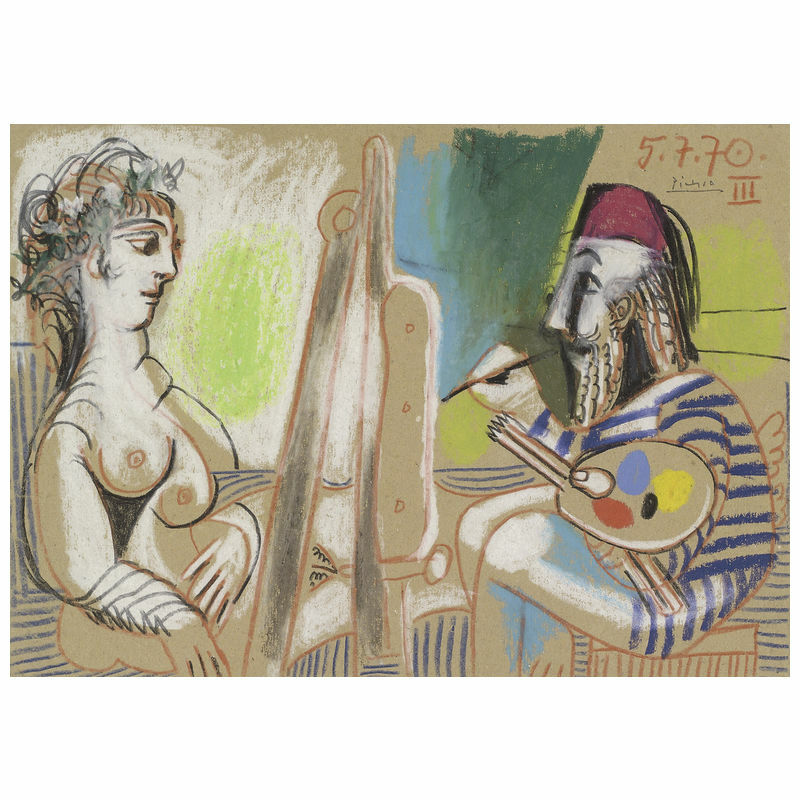 Afterwards, Picasso had affairs with women of an even greater age disparity than his and Gilot’s. 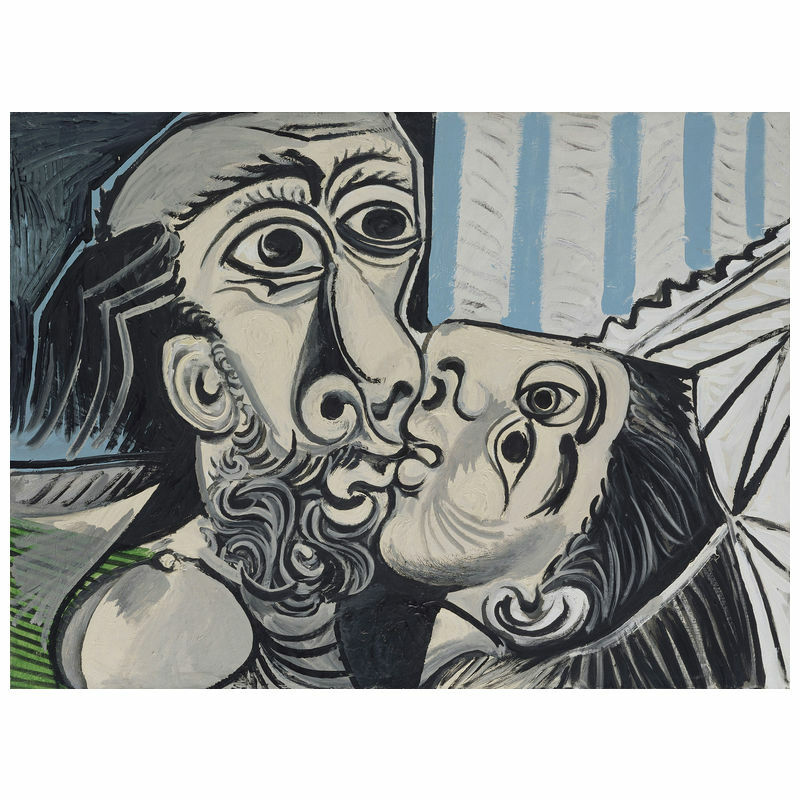 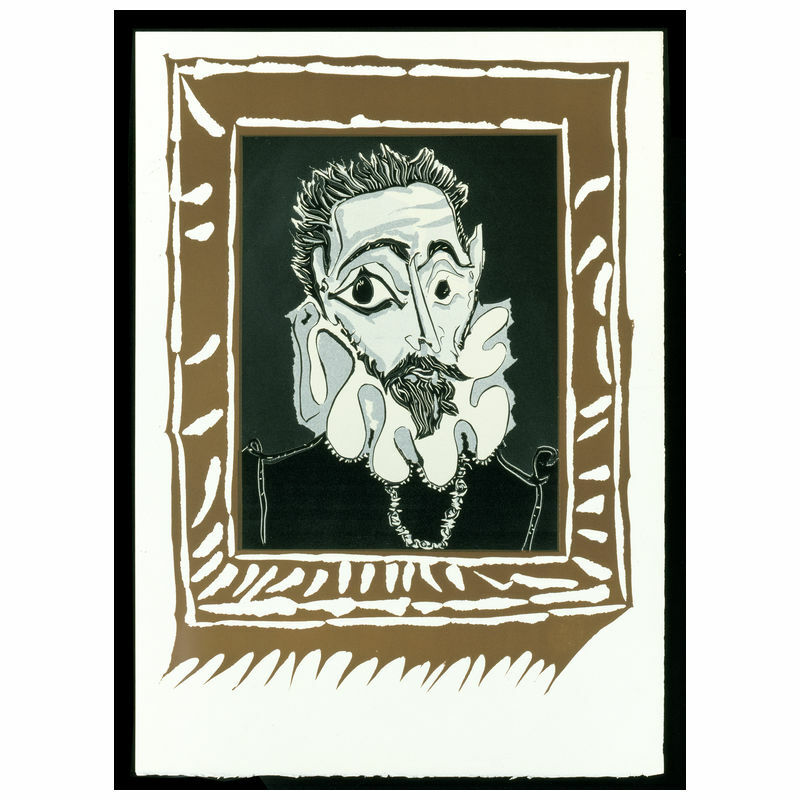 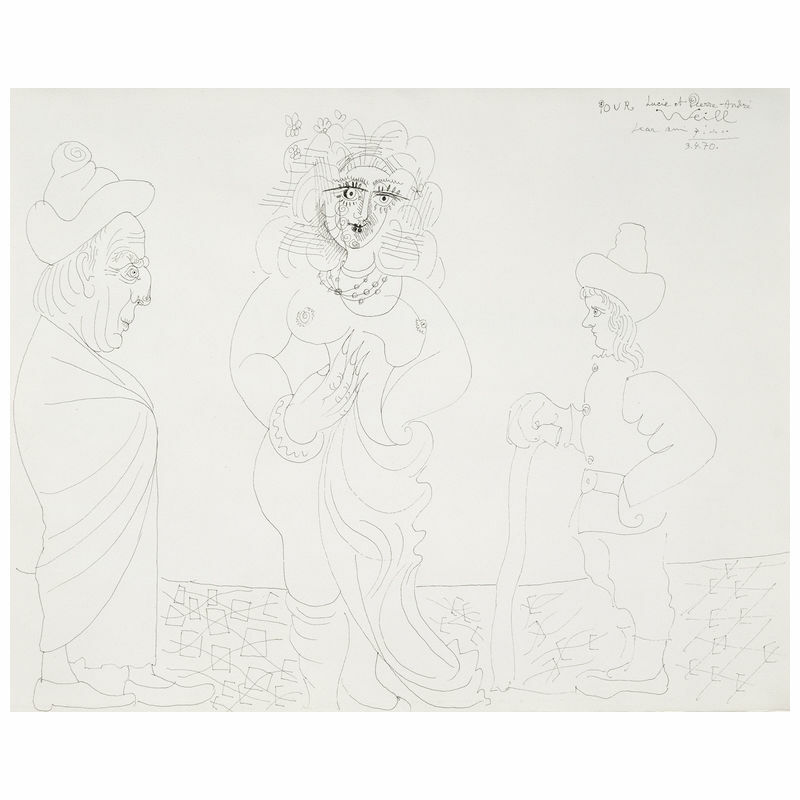 By his 70s, many paintings, ink drawings, and prints shared the theme of an old, grotesque dwarf as the doting lover of a beautiful young model; a reflection of Picasso’s image of himself. 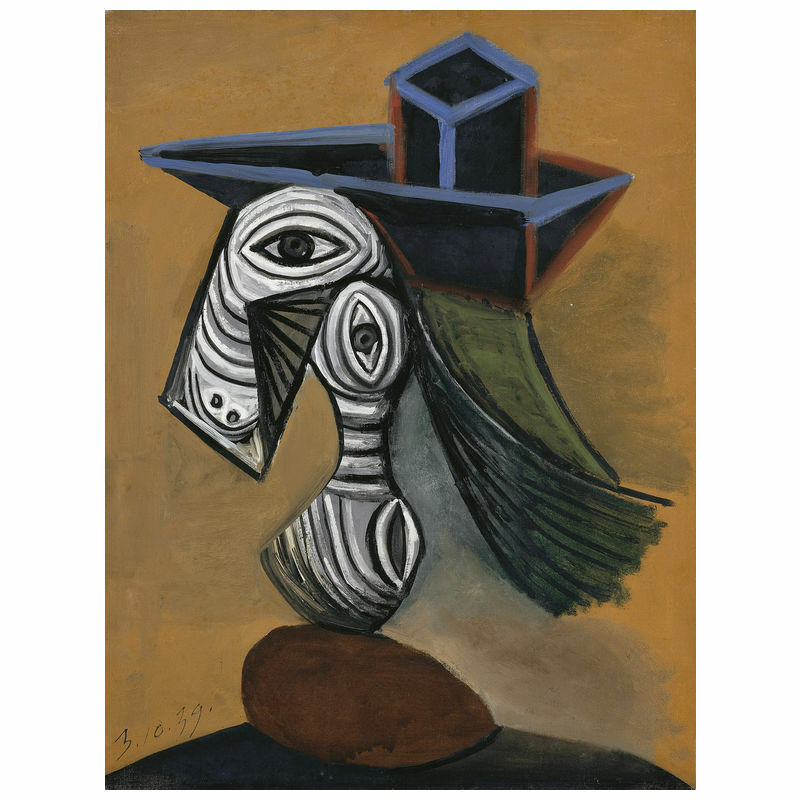 In 1949, Picasso was one of 250 sculptors who exhibited in the 3rd Sculpture International held at the Philadelphia Museum of Art. 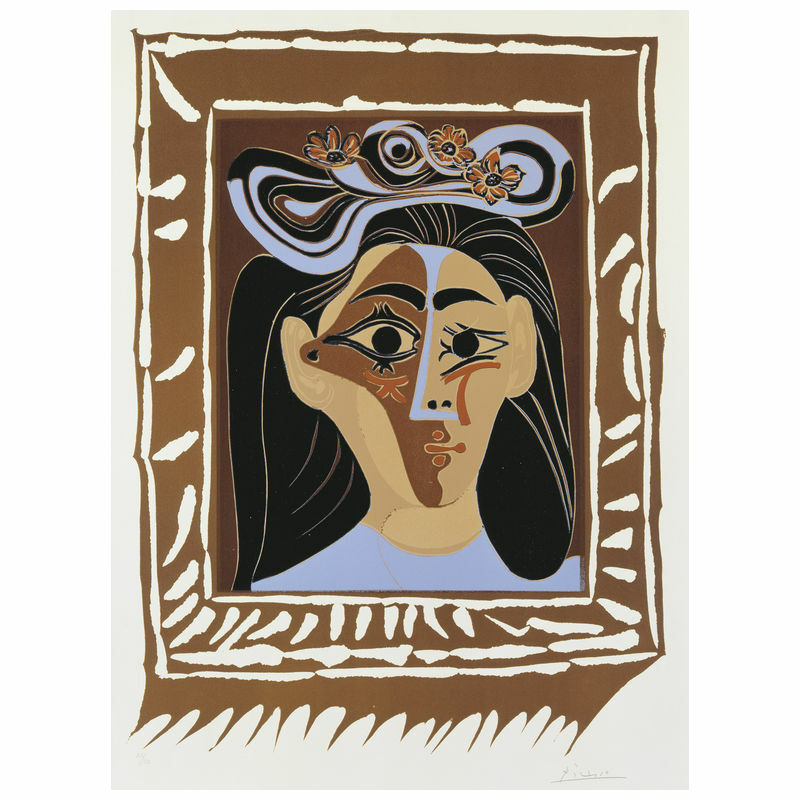 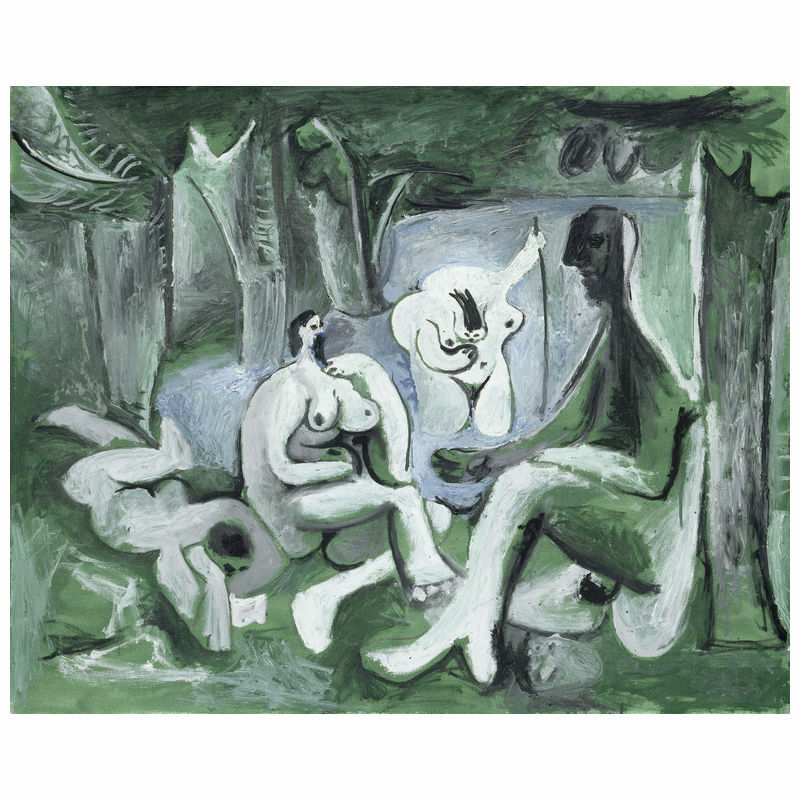 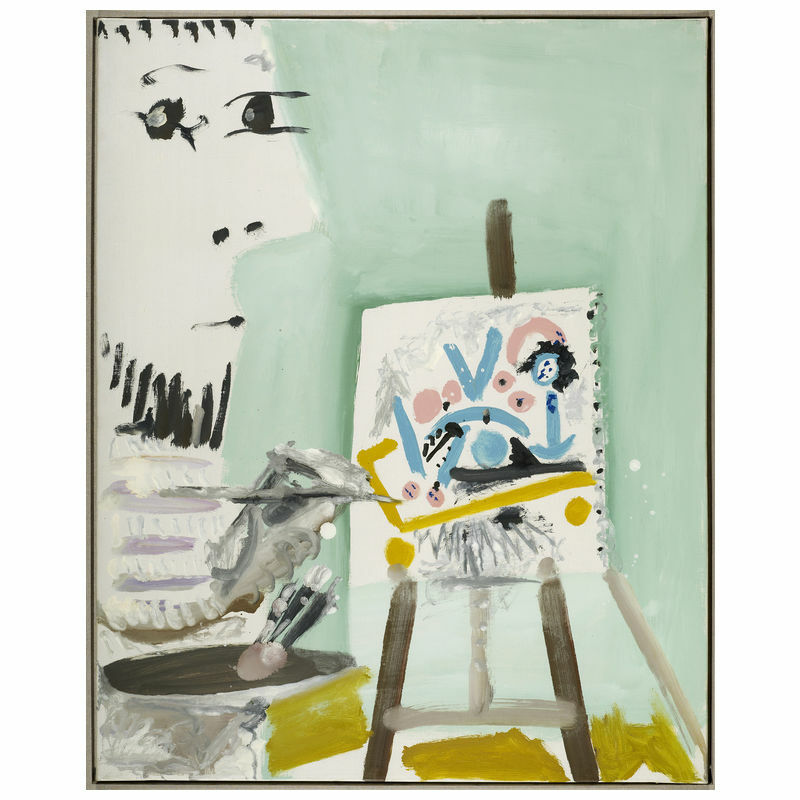 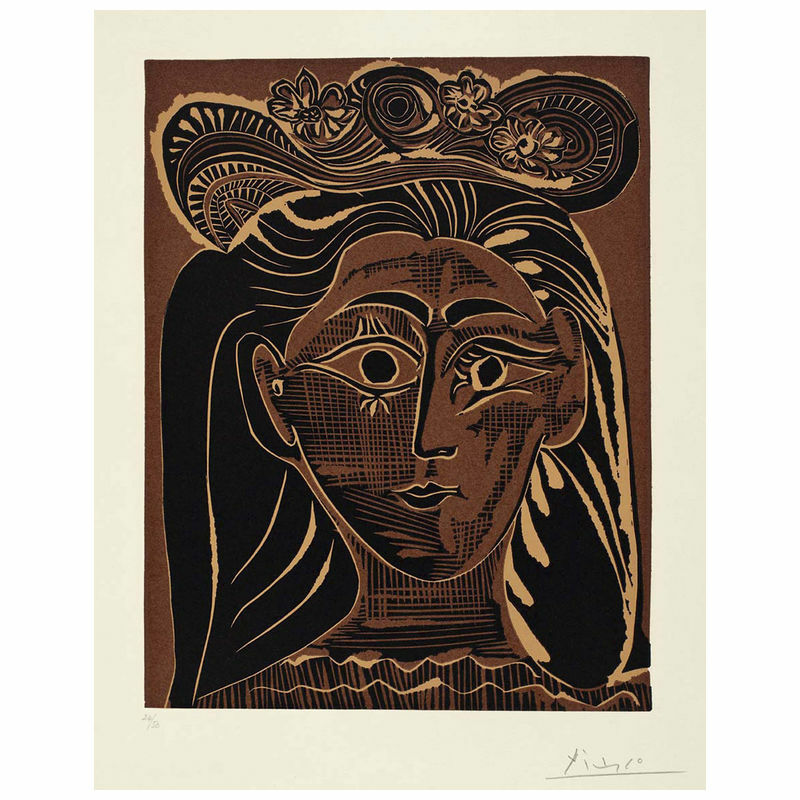 During the 1950s, Picasso’s style shifted once more, as he took to producing reinterpretations of the art of the great masters, resulting in a series of works based on Velázquez’s painting of Las Meninas. 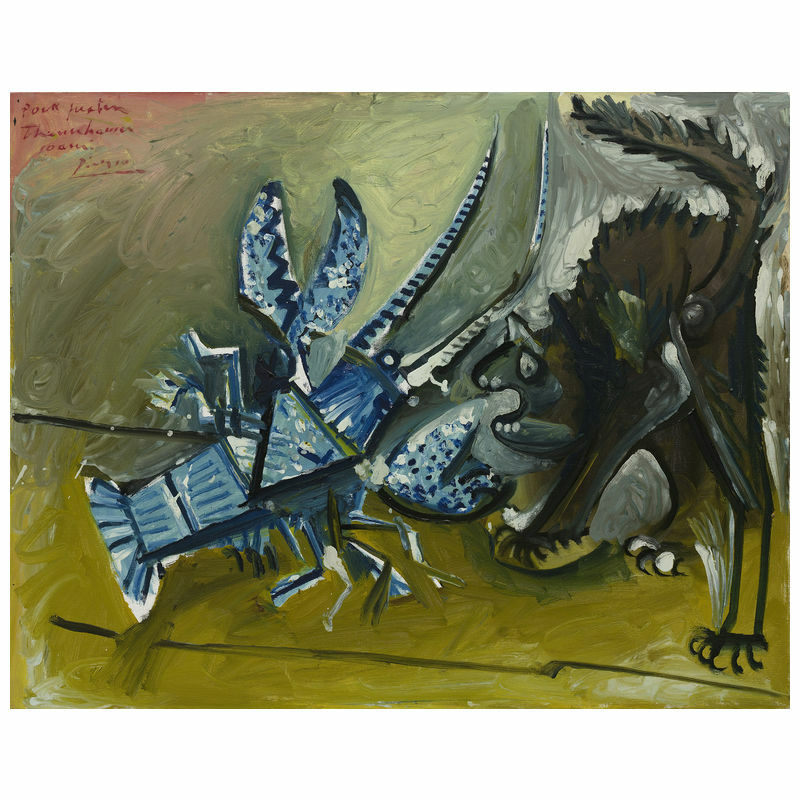 Additionally, he based paintings on works by Goya, Poussin, Manet, Courbet and Delacroix.